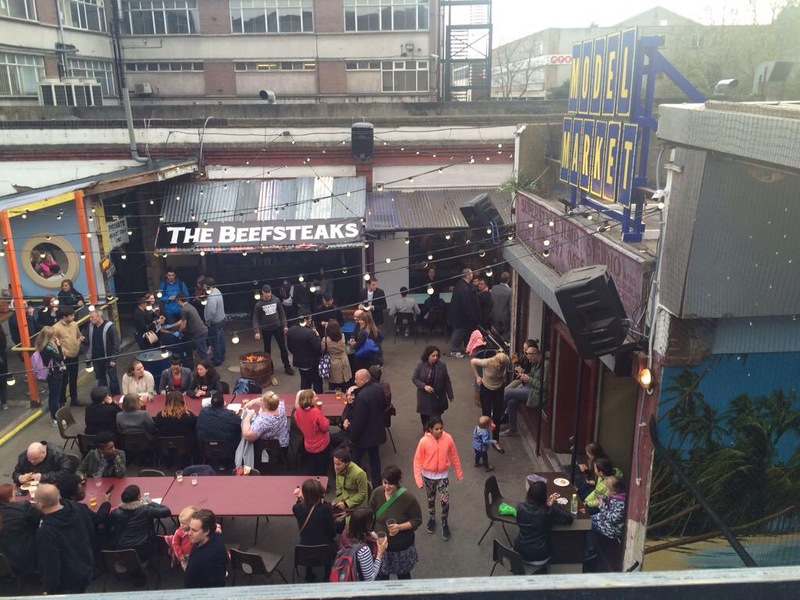 It takes something special to get us excited at the Revolt – a new guest ale or the like – but the return of Street Feast (@StreetFeastLDN) to Lewisham’s Model Market (#ModelMarket) certainly has. So having been to the opening night of the same venue last year (see post) we were very keen to be there for the opening night of the second season, this past Friday. And we were not disappointed. 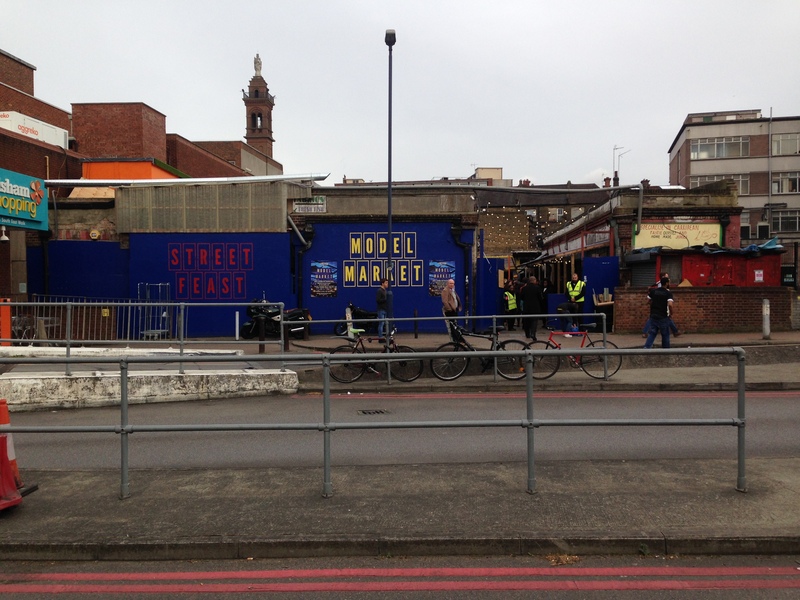 The guys at Street Feast along with all the great traders that make the Model Market what it is really do deserve a lot of credit for what they’ve created in this previously disused space in Lewisham what it is. 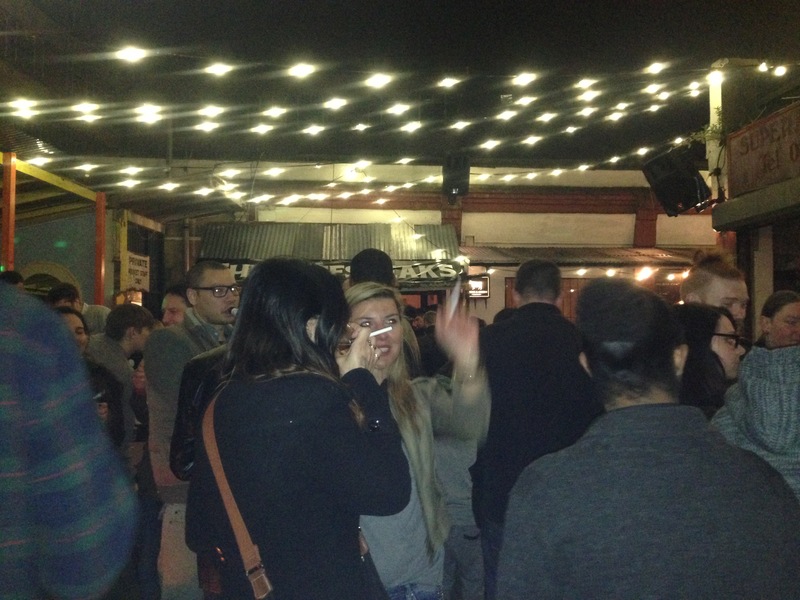 The atmosphere is excellent – like a little piece of down-town Palermo in south east London. And this year it’s even bigger and better, with the tantalising prospect that it might expand further and open on Thursday as well as Friday/Saturday. The Revolt would welcome this and are sure it would do good business. 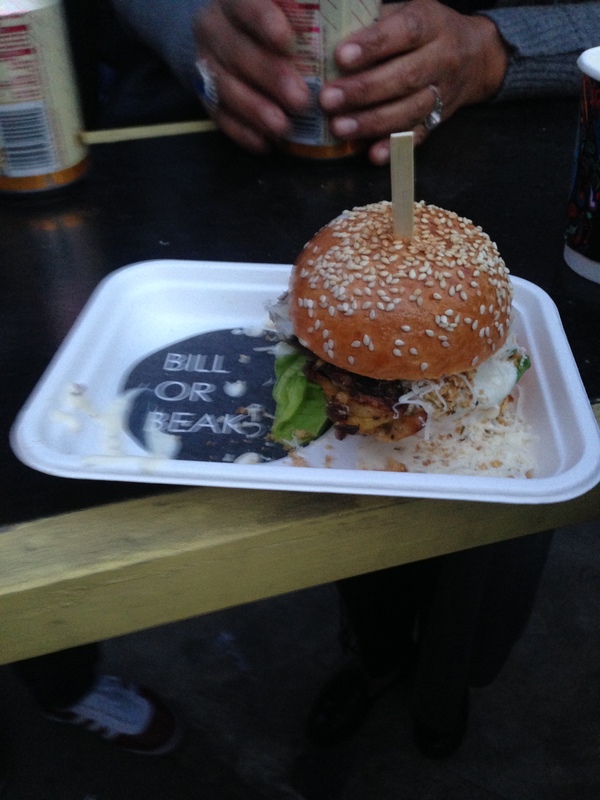 Hey, Bill – where’s the Beak? The other big change this year is the new High Line bar. This sits on top of the row of stores at the left hand side of the site as you enter, accessed via steps near the entrance to Yum Bun. 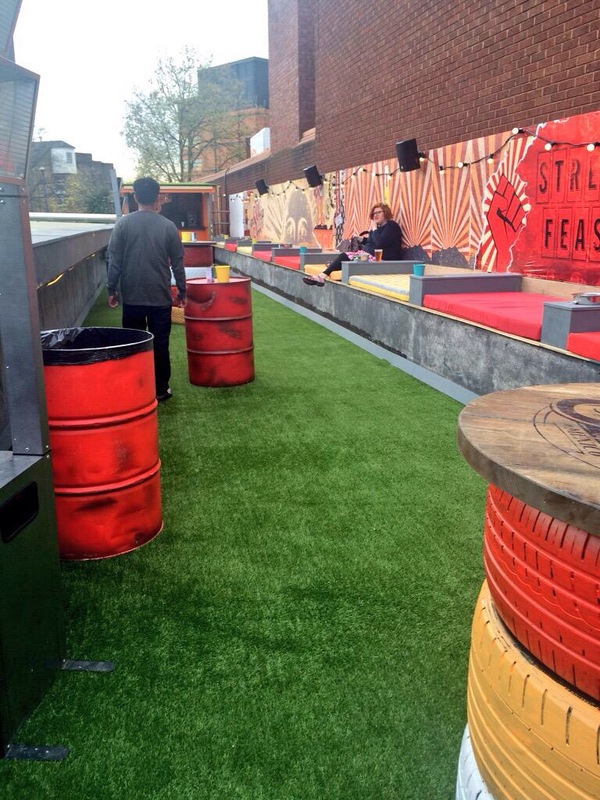 It’s a mixture of AstroTurf and comfortable cushioned bench-style seating along with recycled tyres made into tables and a few gas heaters to keep the chill away. Oh, and there’s a small Sol bar serving bottles (£3.50) and what looked like tequila based slush puppy type drinks (we stuck to the beer). 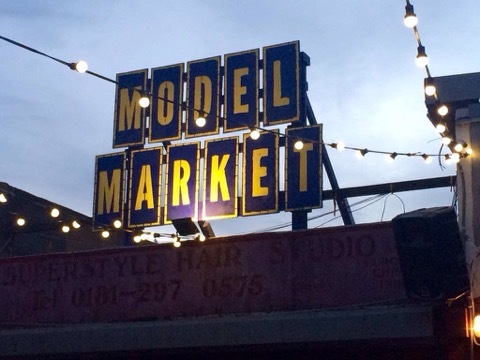 It affords great views down on the rest of the Market and is a fantastic addition. Well worth getting there early to take advantage of the space and the views. Your Radicals were there early (not quite the first to use it, but very close). And we very much agree with the sensible limited capacity door policy – we do like a good door policy. Back to the opening night, and the crowd was the usual mix of buggies with associated parental units at the start of the evening, gradually replaced by an eclectic mix of trendy (and a couple of not so trendy) hipster. Apparently over 4,000 people visited over the course of the (re)opening weekend (source: @bigeater) and certainly the Friday was busy, but not packed (thanks to the sensible door policy). Your Radicals managed to secure a good spot by a pot plant near the DJ at Winyl, which afforded a great perspective on the very heart of the action; and the pot plant was strangely comforting too. What else to say? Well, the facilities (gents at least), which were always acceptable, have seen some improvement, though remain ‘in character’ as one might hope. The second bar (towards the front) now sells bottles not tap. The fire pits were lit from the start on Friday which is most welcome for mid April. All of the people there on the night to collect empty cups, trays etc. were on fine form – very attentive and hard-working, adding to the sense that though this is a street occasion, with the street vibes that everyone enjoys, it’s also a well-organised, well run operation. 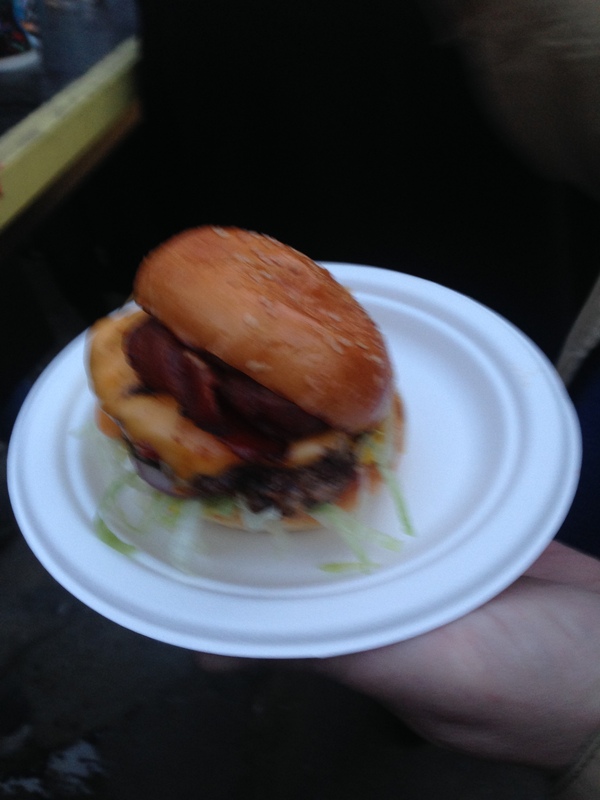 This Post was posted in Blogheath Boozers and tagged cheeky italian, high line, lewisham, model market, street feast, yum bun. Bookmark the permalink.